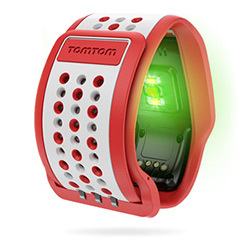 The all new TomTom Runner Cardio has a built-in Heart Rate Monitor so you get more out of every run. Get accurate heart rate readings without the need for a chest strap all from the built in wrist based heart rate monitor. 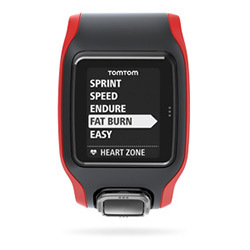 Get accurate heart rate information without the need for a separate chest strap. Your heart rate is measured through a sensor in the watch that monitors changes in the blood flow in your wrist. This is done by shining light through the skin and detecting the changing light reflections. Get accurate heart rate readings without the need for a chest strap all from the built in wrist based heart rate monitor. 4. Speed: high tempo training to improve your speed and fitness. 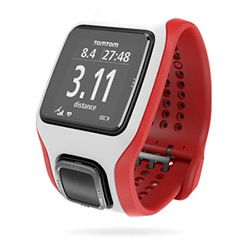 See real-time running information at a glance. Track your distance, time, pace, speed and calories burnt as you train on an extra-large display. Track, analyse and share your stats on popular running sites or apps.